Prof Jamilur Reza Choudhury, National Professor and Vice Chancellor of University of Asia Pacific, won the Japanese national award titled “the Order of the Rising Sun, Gold Rays with Neck Ribbon.” The Government of Japan on Saturday announced 135 foreign recipients of the 2018 Autumn Imperial Decorations, said the Japanese mission in Dhaka on Sunday. As part of the recognition of his great contribution to smooth implementation of Japan’s Official Development Assistance and promotion of friendly relations and mutual understanding between Japan and Bangladesh for more than 30 years. 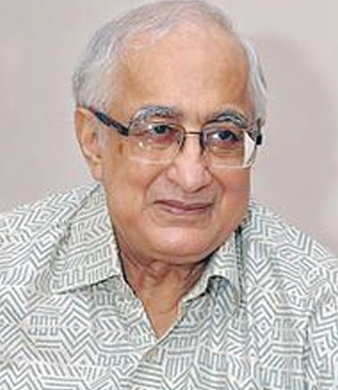 Dr Choudhury has supported many Japanese development projects from civil engineering point of view, such as “Jamuna Multipurpose Bridge Project”, “Chittagong Airport Development Project”, and “Dhaka Mass Rapid Transit Development Project”. He received “JICA Recognition Award” in 2013 and also promoted academic exchange between Japan and Bangladesh and provided the opportunity to study in Japan for Bangladeshi students.